We have skill evaluators located around the country to perform your hands-on practical evaluation. Before you start training, enter your zip code below to find someone near you. Don't worry if you can't find anyone. Just give us a call and we would be happy to locate a skill evaluator for you. Locating skill evaluators. Please wait. Please call us at 888-406-7487 for assistance locating a skill evaluator. Who needs the "Blended Course?" We recommend the blended course if you are getting CPR certified for the first time, your certification has lapsed by 6+ months, or you would feel more comfortable performing your skills on a manikin. The blended course is required if you have been informed by your company or licensing administration that you must have a hands-on skill evaluation. What is the "Blended Course?" All training and testing is completed online at www.procpr.org or www.profirstaid.com. 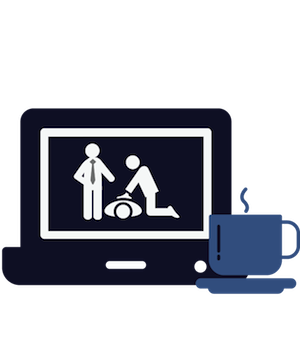 Skills are then evaluated either: (1) remotely via web conference by one of our in-house CPR instructors or (2) in person by a registered ProTrainings Skill Evaluator or certified CPR Instructor. What does the "Blended Certificate" look like? 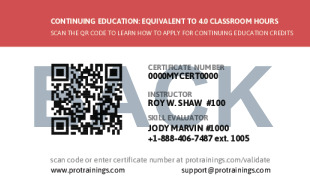 The Blended Certificate looks similar to the regular version, except on the back there will be a listing for the Skill Evaluator's Name and registry number. How do I get started with the "Blended Course?" It's easy! Simply sign up online. After passing the test and paying for your certification, you can schedule your skill evaluation either online via web conference or in-person with an evaluator in our network. 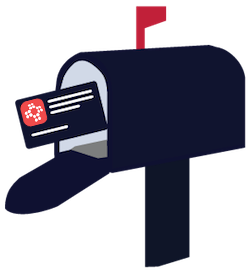 After you complete the skill evaluation, a copy of your blended certificate will arrive in the mail in 5-7 business days. Do you need an in-person skill evaluation? Locate a skill evaluator near you.